The Total Basement Finishing System includes wall panels, flooring and ceiling tiles that are waterproof and designed specifically for finished basements. If you're looking to expand your living space, finishing the basement can be easier and more cost-effective than building an addition. Although you might only see a cold concrete floor and walls, the basement has the potential to become the new favorite space in your home if finished he right way. Energy Swing Windows is your local installer of the Total Basement Finishing System,™ a solution designed specifically for the basement with waterproof products that are resistant to damage from moisture, mold and mildew. 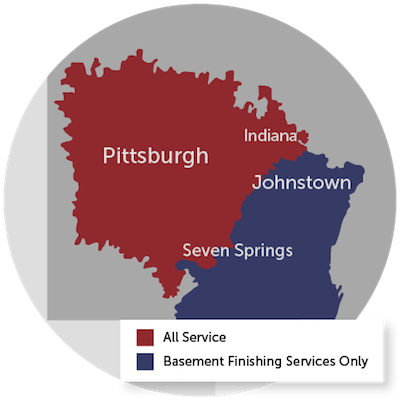 Call us at 1-844-385-9318 to request an in-home consultation and estimate or visit our Total Basement Finishing website to learn more! Total Basement Finishing by Energy Swing Windows website today. If you have any questions or you're ready to schedule your on-site estimate, give us a call at 1-844-385-9318.